Airport marketing comes in many forms. At the small airport level it may be simply to promote fundamental businesses to the community and attract transient aircraft, along with the occassional based tenant. This program focuses on the fundamentals of the Airport Marketplace. This segment reviews the basics of airport financing, including locally generated revenues, such as rates and charges, passenger facility charges and funding from other sources, such as bonds and the Airport Improvement Program. In this segment, the video reviews the Airport Self-Inspection Program, the Airport Movement and Safety Areas, the Airport Emergency Plan and the Airport Security Plan. Part 2 of 2. A safe operation is a primary responsibility of any manager of a public facility or transportation provider. This Airport 101 segment focuses on FAR Part 139, the principal regulation that covers U.S. commercial airports. Part 1 of 2. 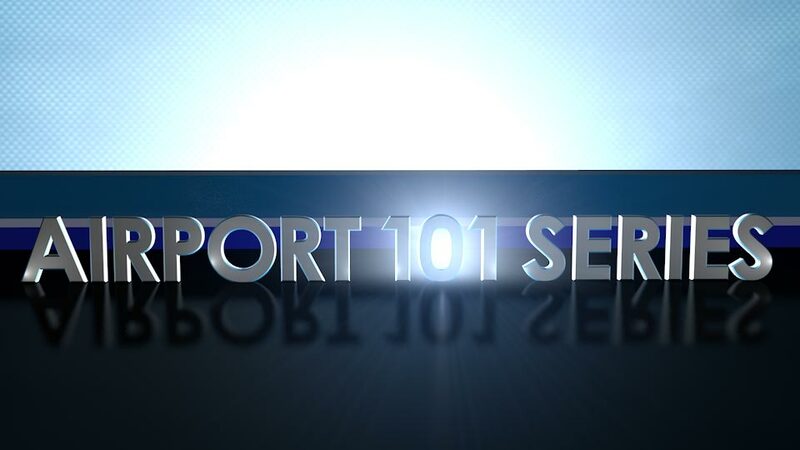 The Airport 101 series of programs has been developed to introduce you to the basics of airport operations and management. In this program, we will continue the discussion on airport ownership, organization and staffing. Part 2 of 2. The Airport 101 series of programs has been developed to introduce you to the basics of airport operations and management. In this program, we will discuss airport ownership, organization and staffing. Part 1 of 2. This program explains about airport development and basics of airport finance and funding. 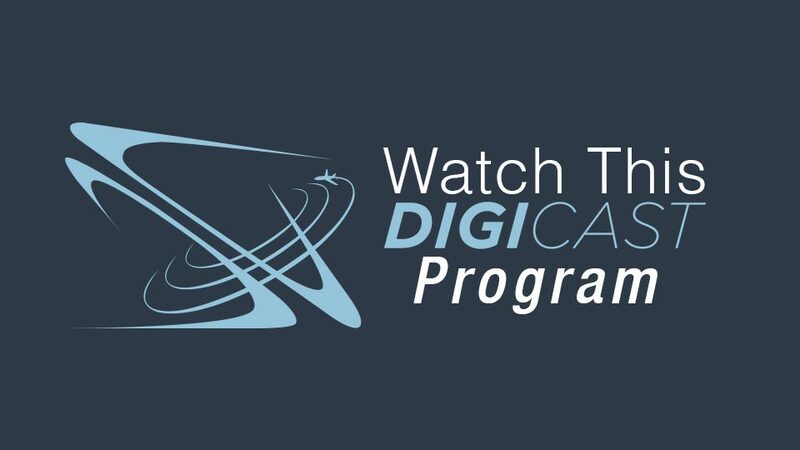 This program explores the birth and maturation of commercial aviation and what drove its development. The Airport 101 series of programs has been developed to introduce you to the basics of airport operations and management. In this program we will discuss the process of how the US airport and National Airspace System was developed; how flying and flight operations work in the US; and airport organization and regulations. While historical references may seem inane they are actually quite important to the Airport Executive. Many of the regulations and “the why of things,” can be found by looking to the past. This video will help airport employees to learn how to recognize human trafficking, and how to report suspected trafficking situations to authorities. This video was produced by the Columbus Regional Airport Authority, the Transportation Security Administration, the Governor's Ohio Human Trafficking Task Force and the Ohio Department of Public Safety. This video will show you how to use the new Assignments link feature. Your airport administrator now has the ability to assign training. When a user logs in, there will be an assignments link located in the left side menu bar under Assigned Training. This link will take the user to the list of assigned videos from the administrator. The employee will take the training as before, watch the video and then take the test. As airports strive to meet the needs of all airport users, this Americans with Disabilities Act and Title 6 awareness training is provided to all airport employees in order to increase awareness levels to provide excellent service to passengers with disabilities. Mr. Peter Berns serves as the Chief Executive Officer for The ARC, the world's largest community-based organization of and for people with intellectual and developmental disabilities. Peter discusses an exciting new initiative called Wings of Autism which is a program that helps bring together the airports, airlines and TSA to help people with Autism. Filmed at the 2013 ARFF Chief's & Leadership School, Joe Kalet, Legal Counsel for the Metropolitan Washington Airports Authority, reviewed theories of ethical behavior, duties and gave examples of cases. Recorded February 21, 2013. Filmed at the 2013 ARFF Chief's & Leadership School, Joe Kalet, Legal Counsel for the Metropolitan Washington Airports Authority, wrapped up his discussion on religion in the workplace. Part 2 of 2. Recorded February 21, 2013. Filmed at the 2013 ARFF Chief's & Leadership School, Joe Kalet, Legal Counsel for the Metropolitan Washington Airports Authority, reviewed the laws on religion in the workplace. Also, he discussed past cases of religious issues in the workplace and how to handle them. Part 1 of 2. Recorded February 21, 2013. Filmed at the 2013 ARFF Chief's & Leadership School, Joe Kalet, Legal Counsel for the Metropolitan Washington Airports Authority, wraps up his review of cases in social media. Part 3 of 3. Recorded February 20, 2013. Filmed at the 2013 ARFF Chief's & Leadership School, Joe Kalet, Legal Counsel for the Metropolitan Washington Airports Authority, continues his review of cases in social media. Part 2 of 3. Recorded February 20, 2013. Filmed at the 2013 ARFF Chief's & Leadership School, Joe Kalet, Legal Counsel for the Metropolitan Washington Airports Authority, discussed how to handle social media issues in the workplace. He provided examples of case studies of social media gone wrong. Also, he reviewed the latest developments in the state and federal laws and social media. Part 1 of 3. Recorded February 20, 2013. At the ARFF Chiefs and Leadership School, Joe Kalet, Legal Counsel for the Metropolitan Washington Airports Authority, reviewed the history of harassment law and discussed important cases dealing with various types of harassment. Part 1 of 3. Recorded February 6, 2012. At the ARFF Chiefs and Leadership School, Joe Kalet, Legal Counsel for the Metropolitan Washington Airports Authority, continues his discussion on harassment cases. Also, he answered questions from the audience. Part 2 of 3. Recorded February 6, 2012. At the ARFF Chiefs and Leadership School, Joe Kalet, Legal Counsel for the Metropolitan Washington Airports Authority, wraps up his discussion on harassment law. Also, he answered questions from the audience. Part 3 of 3. Recorded February 6, 2012. In this series, Joseph Kalet of the Metropolitan Washington Airports Authority and Craig Williams of the Fort Wayne-Allen County Airport Authority discuss human resources legal issues that may affect your airport. In this segment, Joseph Kalet wraps up the latest developments on the Family and Medical Leave Act, and briefly discusses personal liability for airport supervisors. Episode 6 of 6. Recorded October 6, 2011. In this series, Joseph Kalet of the Metropolitan Washington Airports Authority and Craig Williams of the Fort Wayne-Allen County Airport Authority discuss human resources legal issues that may affect your airport. In this segment, Joseph Kalet updates you on the latest developments on the Family and Medical Leave Act. Episode 5 of 6. Recorded October 6, 2011. In this series, Joseph Kalet of the Metropolitan Washington Airports Authority and Craig Williams of the Fort Wayne-Allen County Airport Authority discuss human resources legal issues that may affect your airport. The fourth segment provides the latest updates on the Americans with Disabilities Act. Episode 4 of 6. Recorded October 6, 2011. In this series, Joseph Kalet of the Metropolitan Washington Airports Authority and Craig Williams of the Fort Wayne-Allen County Airport Authority discuss human resources legal issues that may affect your airport. The third segment wraps up discussion about recent developments in Retaliation Law. Episode 3 of 6. Recorded October 6, 2011. In this series, Joseph Kalet of the Metropolitan Washington Airports Authority and Craig Williams of the Fort Wayne-Allen County Airport Authority discuss human resources legal issues that may affect your airport. The second segment continues discussion about recent developments in Retaliation Law. Episode 2 of 6. Recorded October 6, 2011. In this series, Joseph Kalet of the Metropolitan Washington Airports Authority and Craig Williams of the Fort Wayne-Allen County Airport Authority discuss human resources legal issues that may affect your airport. The first segment discusses recent developments in Retaliation Law. Episode 1 of 6. Recorded October 6, 2011. In this segment, we review the key points to providing excellent customer service at your airport. Part 4 of 4. In this segment, we discuss the importance of being familiar with your airport surroundings in order to help customers get around. Part 3 of 4. In this segment, we discuss the interpersonal skills and tools needed to provide excellent customer service. Part 2 of 4. In this segment, Introduction to Customer Service, we provide a brief overview of general concepts and principles you should be aware of when interacting with customers at your airport. Part 1 of 4. This video shows a variety of scenarios that may or may not be examples of sexual harassment. After each scenario, the situation is explained why it is or is not sexual harassment. An explanation of various sexual harassment legal concerns that can occur in the workplace and what the proper course of action should be. Learn about what goes into designing an airport! This program deals with regulations and guidelines that must be obeyed when constructing any building on an airport. This program is part of our series dealing with common discrimination issues in the workplace. The video explains what the proper procedures should be when discrimination is encountered. It also shows some scenarios which may or may not be examples of discrimination. This video goes over a variety of drugs and explains what the signs of addition are in each of them. We also learn what you should do if you suspect an employee is addicted to drugs.